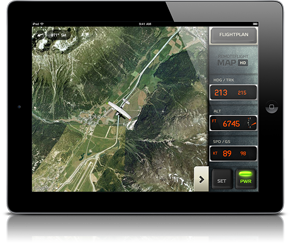 RemoteFlight GLASS is our newest universal app for both iPad and iPhone. 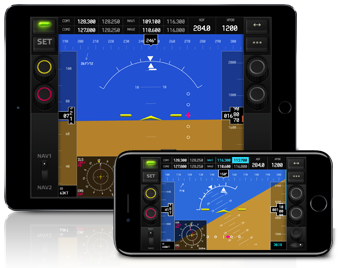 In this app you will enjoy a full-screen primary flight display (PFD), dual radios, adf and transponder, RMI and other features to complete your flight experience, all in one app, crisp and clear across all devices. I plan to add more features into the app as the time goes and the app is being offered for a special introductory price at this moment. RemoteFlight COCKPIT HD is full-featured, touch enabled cockpit panel replacement for almost any of your Flight Simulator aircraft. Optimized for new iPad retina display from the very beginning but will look just as good on normal iPad screen. 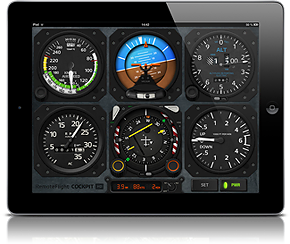 Enjoy your scenery on full screen and let your iPad do the job displaying the gauges. Customize your cockpit according to your preference, either for pure VFR or hard-core IFR training. RemoteFlight MAP HD is an ideal companion for long haul flights, as well as a tool for those, who like to explore the world while flying. 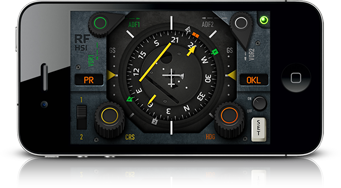 Dragable and zoomable vector map moves with the aircraft and key flight variables are displayed on side-panel, which you can hide. You can choose from different types of maps, aircraft icons and units of measurement. Now you can sit back and relax, or chat with a stewardess, while still fully aware of the situation in cockpit thanks to iPad with RemoteFlight MAP HD. 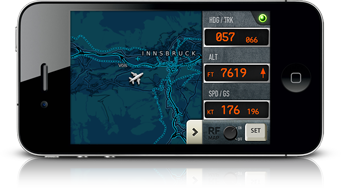 RemoteFlight HSI is full-featured, touch enabled horizontal situation indicator for your Flight Simulator aircraft. Just about anything you may wish from HSI is there for you to use. All parts of the instrument are smoothly animated and the whole experience is simply breath-taking. RemoteFlight COMM Panel is our first gauge in line, showcasing the basic ability of the concept and RemoteFlight ecosystem. 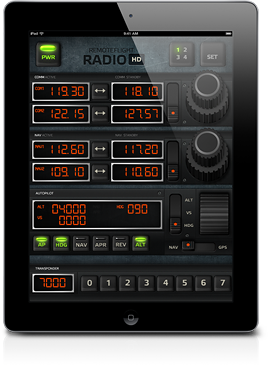 It replaces the radio panel of any Flight Simulator aircraft, and enables you to control communication radio using your iPhone or other iOS compatible device. There`s nothing like having this crucial instrument right by the grasp of your fingers and always in sight. Compatible with all aircrafts with a comm radio. 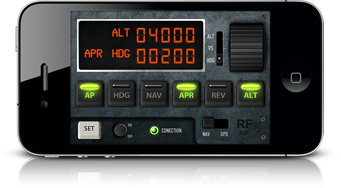 RemoteFlight NAV Panel will let you set and switch between radionavigation frequencies of VOR/DME and ADF instruments and display DME of tuned beacon, if available. 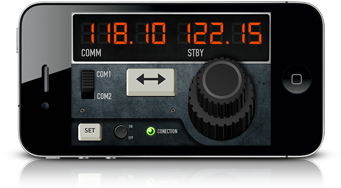 Just as straightforward as our COMM Panel, but slightly more advanced and capable. 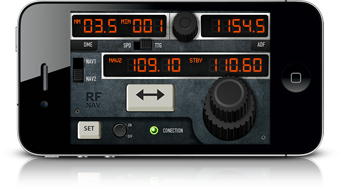 Compatible with all aircrafts with either VOR/DME or ADF radio.